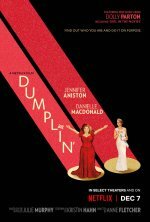 Dumplin' release date was Friday, December 7, 2018. This was a Netflix Only release. Friday, December 7, 2018. This was a Limited in theaters release. Based on novel by Julie Murphy.